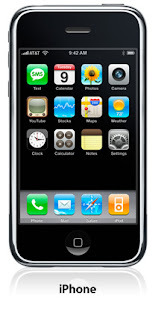 In Jamaica the Iphone is becoming more popular (sold by Claro 3G network). I envision a day when calling from the Caribbean Islands will be a part of a one payment plan and will be cheap enough for the majority of people to be able to pay for it. This recent report I read illustrates that this maybe closer than I expected. Skype, the Internet calling service owned by eBay, is expected to announce an application for the iPhone at next week's wireless CTIA tradeshow in Las Vegas, according to tech blogger Om Malik of GigaOM. (Credit: Apple)Skype is keeping mum on the announcement and has declined to comment on the rumors. But the company is hosting a press conference Tuesday afternoon in Las Vegas the day before the show kicks off. And it's likely the news will be announced there. Skype admitted earlier this year that it's working on an application for the iPhone. Scott Durchslag, the company's chief operating officer, said at the Consumer Electronics Show in Las Vegas in January that an iPhone version of the software client would be coming to Apple's App Store.